This weekend marks the end of daylight saving time, and just about everyone in the U.S. will need to set their clocks back one hour at 2 a.m. Sunday. 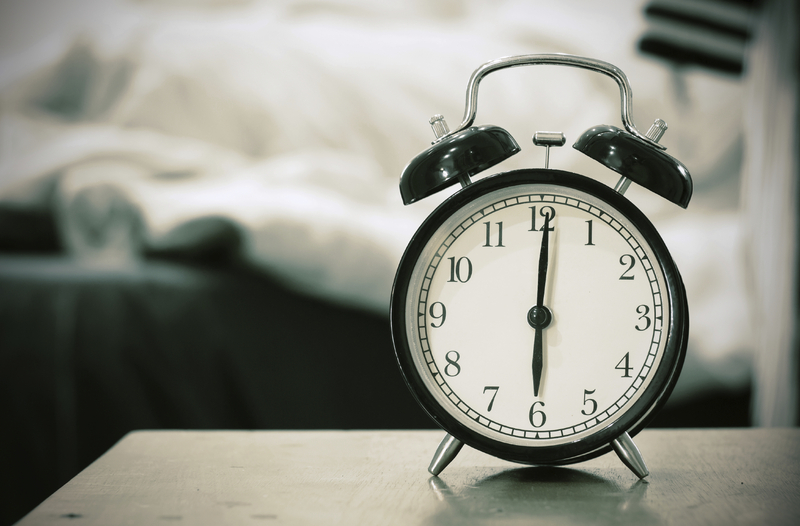 While most Americans will revel in the extra hour of sleep, for some people the shift can have a significant impact on health, and in particular their mood. For those suffering from seasonal affective disorder (SAD), the shorter days and longer nights that come this time of year can exacerbate the condition. About half a million Americans suffer from SAD, while another 10 to 20 percent may suffer from a milder form of seasonal blues, according to the Cleveland Clinic. While the cause of SAD is unknown, research has found some biological clues. "The lack of light can impact our biological functioning," Louisa Sylvia, Ph.D., director of psychology at Massachusetts General Hospital Bipolar Clinic and Research Program, told CBS News. "We're not making as much melatonin as usual, which helps with our hormone functioning and as a result it can lead to symptoms of depression such as fatigue, loss of interest in things, and lack of motivation, and it can snowball into a full-on depressive episode." Symptoms of SAD include feeling depressed most of the day, nearly every day; low energy; losing interest in activities you once enjoyed; trouble sleeping; changes in appetite or weight; difficulty concentrating; and social withdrawal. Women are diagnosed with SAD four times more often than men. Young adults and people with a family history of other types of depression are also more likely to experience it. If you noticed an extreme dip in mood coinciding with the darker, colder days of winter, experts recommend visiting your doctor and asking for blood tests. "Ask for vitamin D, B12 and iron levels, and get your thyroid levels checked," Dr. Vatsal Thakkar, a clinical assistant professor of psychiatry at the NYU School of Medicine, told CBS News. "If these are too low they may be bringing you down." Experience as much daylight as possible. The lack of exposure to the sun is a major catalyst for SAD, so getting out during the day as much as you can may help lessen symptoms. Go for walks throughout the day when possible. Even sitting by a window that lets in natural light can help. Keep active. Avoid staying cooped up in your house all winter. Spend time with family and friends, volunteer, or join a new activity or sport. Research shows that physical activity can help alleviate symptoms of SAD so make sure to fit some exercise into your daily routine. If it's too cold to exercise outside, try looking online for a workout you can do at home. Choose your foods wisely. Though indulging in sugary treats and high-carb comfort food can be tempting – especially around the holidays – try to keep yourself in check. Numerous studies have shown that junk food can have a negative impact on mood, so steering clear can help with symptoms of SAD. Thakkar recommends incorporating more protein-rich and fatty foods to stabilize blood sugar and balance moods. "With the darker nights and wintery weather, we can make a parallel to hibernation," he said. "In order to hibernate, animals need higher blood sugar. We don't want to hibernate." Eating foods like avocado, lean meats, or coconut oil can help you regulate your blood sugar and satisfy hunger. Seek professional help. If you continue to struggle with feelings of depression, you may want to consider seeing a mental health professional such as a psychologist. A professional can help determine if you are suffering from SAD and how to best help treat it. Options that help many patients include cognitive behavioral therapy, light therapy, or antidepressant medication. This story originally published on Nov. 5, 2016.